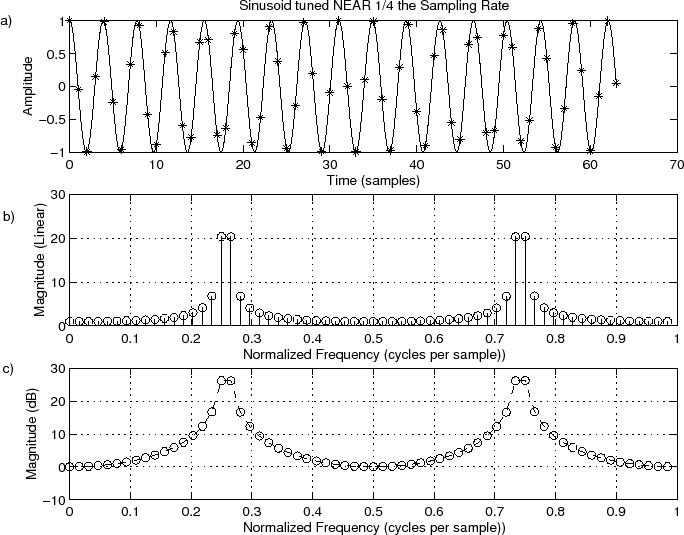 Figure 8.2: Sinusoid at Frequency . a) Time waveform. b) Magnitude spectrum. c) DB magnitude spectrum. The result is shown in Fig.8.3. Note the ``glitch'' in the middle where the signal begins its forced repetition. Figure 8.3: Time waveform repeated to show discontinuity introduced by periodic extension (see midpoint).